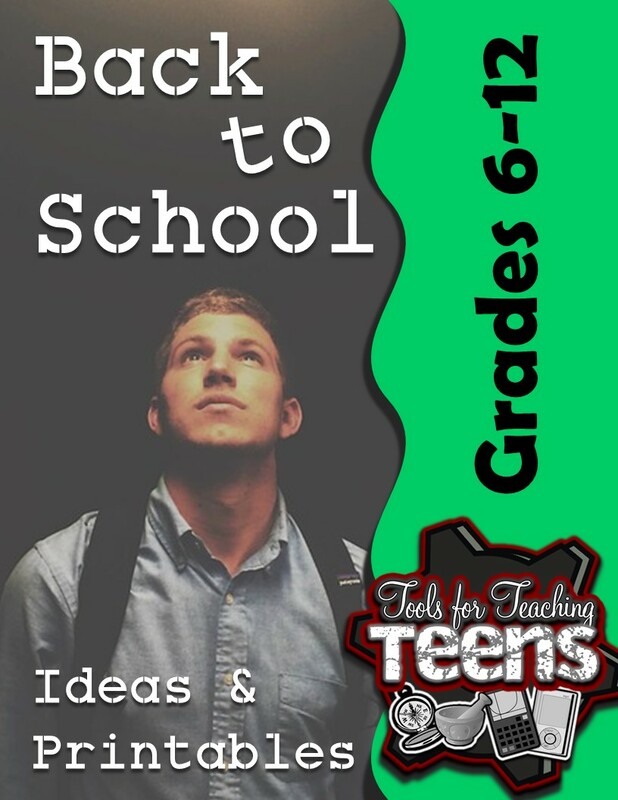 I'm linking up with social studies teachers for a blog hop on back to school tips AND a giveaway of free resources. Be sure to check it out at the end of this post! My family had a blast playing the hometown tourist this summer, but today my husband and I returned for pre-planning. I'm overwhelmed to say the very least. There's so much to do, and I'm teaching a course this semester that I've never taught before. I feel like I have world history and sociology by the nose, what with my interactive notebooks, but the new course, psychology, well--that's another matter. I will be reading and relying on the experience of others often this semester. But there's still room to grow in the courses that I've taught over and over. 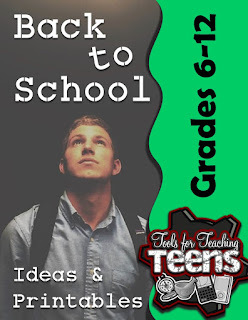 The book study that the Tools for Teaching Teens group and I blogged about this summer reminded me of that. You can read all about it here. It really got me thinking about differentiation and ways to improve. 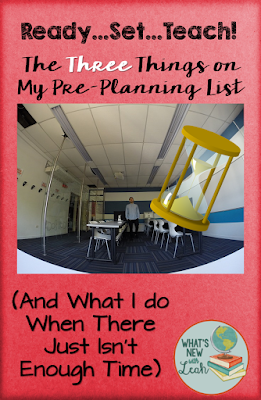 My big leap in the Teacher New Year is Stations. Yes--stations--in high school. But I'll talk more about that in a couple of weeks. Right now I want to discuss just how long my to do list is--impossible for the amount of time I have to get ready. And the administration--that omnipresent entity--has its own idea of what I should be doing. So, I made the executive decision to narrow my list down to three items. I'm going to write in the second person because I believe these three things are imperative for any overwhelmed teacher preparing for the students to return. Nothing sends the message to students on the first day of school that you mean business like having a seating chart ready to go. The Ideal: The best thing to do is check all of their information (test scores, lexile levels, grades, and behavior) and seat them accordingly. Here's a great video blog explaining the process. The Reality: You probably don't have time to do that by the first day. Don't worry. You can do that later. For the first day, print off a class roster, put a number next to each name, number each desk or seat (write on it with a sharpie paint pen--it wipes right off when you color over it with a dry erase marker). Students will sit at the seat with the same number that is next to their name. It's easy for you, and it sends the same message to the students. Knowing where you're going is important. It brings focus to the class and keeps everything moving. The Ideal: You have all of your first units planned out, and copies of all handouts ready to go. The Reality: You're stuck in meetings and dealing with administrative demands during pre-planning. Plan your first week. Make sure you've copied everything you need for the first day (syllabus...get to know you activity...etc...). Then take it a day at a time until you catch up. It's important to make your classroom inviting. Your students should feel comfortable, and they probably won't when the walls are bare. The Ideal: You spend a small fortune at Ikea. You have framed pictures on the wall, lamps instead of those harsh florescent lights, and super cute bulletin boards (yes, even in high school). The Reality: You're on a tight budget, and again, there's a boatload of administrative work to do. Have the students decorate your classroom on the first day. Whatever your get-to-know you activity is, make it an opportunity for decorating. Have students create a collage about their interests or an "I Am" poem....Then have THEM hang up their products. Here's an ebook filled with printables (and opportunities for student decorating) to make your first day easier. Get it for free HERE. Have an amazing school year, and remember, work smarter, not harder! Go to the movies or something this weekend :). What shortcuts do you take to fit "everything" in? Leave a comment below to let me know. These are awesome ideas, Leah! Definitely seating charts!!! Great tips to start the year! Thank you for sharing! Love your honesty!! I have come to realize that school work is like housework, it is NEVER done! If there were only a few more hours in our days & a whole lot less on our "To Do" lists! Good luck this year!